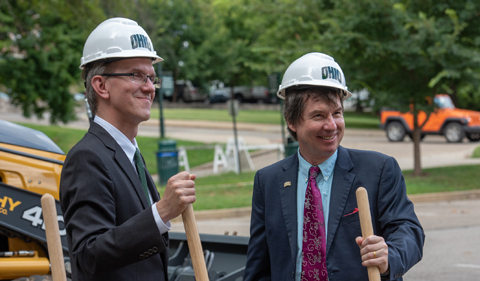 From left, Interim Dean Joseph Shields and Chemistry Professor Peter Harrington at the chemistry groundbreaking. From my office window in Wilson Hall, I am able to observe as the finishing touches are applied to Ellis Hall as part of a major renovation of this venerable structure. Within the next month the departments of English, Philosophy, and Classics & World Religions will return to their former home now transformed. 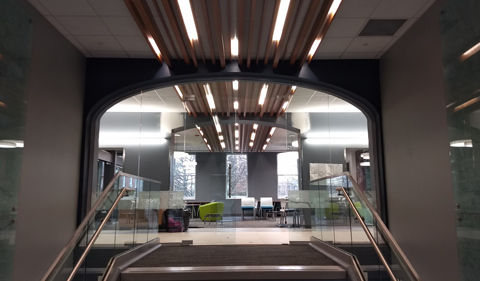 The renovated building will again feature offices, classrooms, and meeting spaces, but with modern HVAC and flexible features that encourage collaborative interaction and pedagogical innovation. 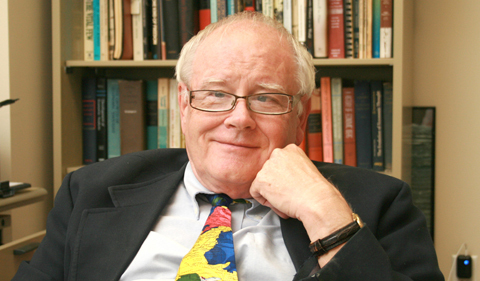 The investment in Ellis is a physical demonstration of the university’s commitment to the humanities as a foundational part of college-level education, and to scholarship and deep engagement with these disciplines as essential underpinnings to civilization and to finding meaning in our lives. You’re invited to join us at Ellis Hall ribbon cutting on Friday, Jan. 18. 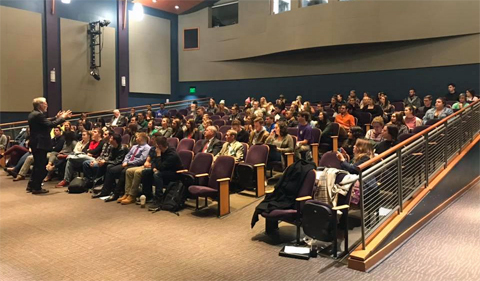 An exploration of where the humanities intersects with practice was provided recently via a visit to the Athens campus by alumnus David Crane, a highly recognized international criminal lawyer. 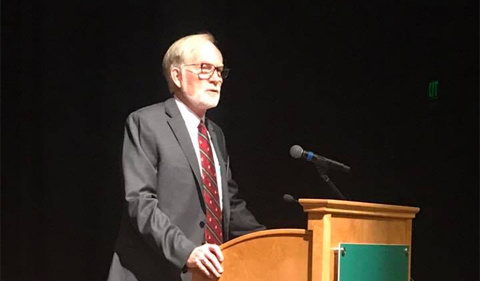 Crane earned a bachelor’s degree in History in 1972 and a master’s in African Studies in 1973 and was the recipient of an Honorary Doctorate of Letters from Ohio University in 2017. He completed legal studies at Syracuse University and went on to a 30-year career with the federal government, serving as a judge advocate for the U.S. Army, assistant general counsel of the Defense Intelligence Agency, and founding director of the office of Intelligence Review in the Department of Defense. Crane later served under United Nations appointment as the founding chief prosecutor for the Special Court for Sierra Leone, charged with prosecuting individuals who committed violations of international human rights during the 1991-2002 civil war in Sierra Leone, including Liberian President Charles Taylor. Crane’s recent return to campus was as a Glidden Visiting Professor, hosted by the college’s Center for Law, Justice, and Culture in association with the interdisciplinary theme, Making and Breaking the Law. The Glidden Professorship supports extended visits by outstanding scholars who interact and share their expertise with students and faculty. The ability for the current generation of students to engage with a predecessor who has gone on to achieve such distinction in a career in international justice is particularly meaningful. Crane delivered the keynote at the university’s Pre-Law Days. 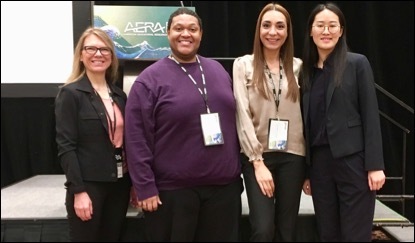 Each of you, as Arts & Sciences alumni, has something to offer our current students based on how you have used your Ohio University experience in your lives and careers. 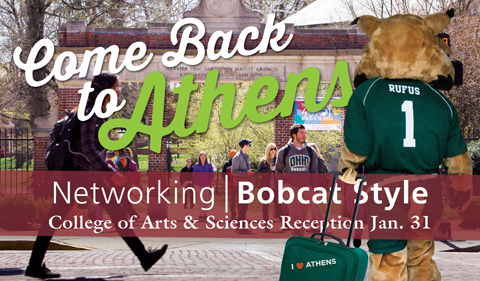 The Arts & Sciences Career and Networking Week offers a specific opportunity to share your experience on Jan. 31 at the Alumni-Student Networking Reception, and I invite you to come back to Athens to discuss career strategies and pathways with students during this special day. Please consider joining us, or let us know if you would be willing by other means to help current students envision their futures.RSVP online or contact our Director of External Relations, Lisa Cohen, at cohenl@ohio.edu.